Thanks in advance to Aragorn III for his direct input and valuable insights for what I am embarking on here. Much of this I hope will help to illuminate many of the developments and ideas that have been valiantly offered by ANOTHER and FOA over many preceding months. Upon the 1971 declaration by the United States that redemption of dollars for Gold would be terminated, the entities in receipt of dollars for balance of trade settlements had no difficulty recognizing this as an outright default on payment contracts. The scramble was on to make sense of this new payment system in which the dollar was no longer a THING of value (a small amount of Gold), but was now reduced to a CONCEPT of value; an undefined unit with which the world would denominate the amount of value in contracts for goods and services. The problem ever since has been in coming to terms with the meaning of value for this shifting and undefined unit, and its vulnerability for mismanagement and abuse. Jelle Zijlstra, who became head of the Bank for International Settlements, said while with the Bank of the Netherlands in regard to the 1971 severing of Gold from the dollar, "When we left the pound, we could go to the dollar. But where could we go from the dollar? To the moon?" As I continue this tale, I hope it becomes clear that not only have we gone to the moon, but that Gold is going there also. Do you see the world as it is? Or, do you see the world as you are? A tough obstacle, to be sure, as our experiences weigh heavily on our perceptions, and many people have no practical earthly experience with real money. There is hope..."the Truth is out there!" as a popular show is quick to proclaim. Albert Einstein puts an interesting slant on this theme: "My religion consists of a humble admiration of the illimitable superior spirit who reveals himself in the slight details we are able to perceive with our frail and feeble mind." So with a ready admission our minds are frail and feeble, let's prepare to tackle something so ponderous it must hopelessly remain an abstraction to us mere mortals. I refer to the U.S. national debt, expressed in dollars, that stands at 5.6 trillion. Wow! What does that really mean? To put it in some perspective, we will revisit the 1970's, and try to get our arms (and feeble minds) around some much smaller numbers, and yet numbers that themselves are large enough to be abstractions. Let's examine the incredible and overwhelming wealth and economics of oil. Imagine having claim to a sandy and barren land that reaches 120 degrees Fahrenheit in Summer, making your living through the ages on goats, dates and Pilgrims to Mecca. Not a posh existence when compared to America in the Roaring 1920's, but the passage of time reveals the fortunate few that were in the right place at the right time. When the Standard Oil Company of California was granted an exploration concession for Saudi Arabia in 1928, the 35,000 Gold sovereigns paid by Socal were reportedly counted by Sheik Abdullah Sulaiman himself. Wispy shades of things to come! This can be thought of similarly to how you might view a collection of skinny stock investors who found themselves heavily invested in penny internet stocks when the technology market exploded in the 1990, making them all millionaires. Except this: Oil is much, much bigger! We will soon examine what it means to be in the right place at the right time. I will talk about pricing and balance of trade in the next part...stay tuned for the biggest transfer of wealth the world has ever seen. The key-currency gets debased in 1971, and Gresham's Law rules the land. Having purchased this Saudi Arabian concession, in subsequent drilling Socal's Damman Number 7 struck oil in 1937 (I believe old Number Seven is still flowing.) Socal partnered with Exxon, Mobil, and Texaco to form the Arabian-American Oil Company. Over a thirty year period, Aramco discovered petroleum reserves in Saudi Arabia in excess of 180 billion barrels...a quarter of the known reserves of the planet at that time. And as the world aged and changed, the amount of oil consumed daily in world trade climbed dramatically, from 3.7 million barrels per day in 1950, to 9.0 mbpd in 1960, to 25.6 mbpd in 1970, to 34.2 million barrels per day in 1973 during the first Oil Crisis. Consider this for better perspective: the average yield per well at the end of the 70's in the United States was 17 barrels per day per well, in Venezuela (one of the co-founders of OPEC) it was 186 barrels per day per well, and in Saudi Arabia (the other OPEC co-founder) it was 12,405 barrels each day per well. Wow! Just imagine if the internet companies today issued new, additional shares each day at this same rate as oil consumption...the stock price would plummet! But unlike internet stocks, because this oil is consumed, it must be replaced (and paid for) every single day. What does the Texas Railroad Commission have to do with this story? Plenty. So much oil was being produced in Texas in the 1930's that engineers were concerned about depletion and wastage, and the owners would fret over the effects of oversupply that would at times bring the price per barrel down to ten cents. Tiny independent producers were often drilling side by side with the majors, but when the price slumped their profitability suffered more because they didn't have income from the downstream processes like the majors did. Because some of the individuals operating these independent companies happened to be multimillionaires, their complaining voices were heard thanks to their political contributions. The state government responded by giving the Texas Railroad commission the power to regulate drilling. And while they didn't have the authority to set prices, they could regulate production levels. By setting an appropriate rate of production, oil would be conserved and this restricted supply would achieve price levels high enough to keep the independents in gravy. This Texas price became the American price, and also the world price (in the 1950's the U.S. was producing half of the world's oil.) This meant pure profit for the major companies with overseas production that cost only ten cents per barrel. To keep the price of oil up, what started as a gentlemen's agreement among the American oil companies to limit the imports of cheaper oil later became enforced by the U.S. government--known as the "invisible dike" against the outside world of cheap oil. Throughout the 1960's, the Persian Gulf offered the world oil at $1.80, while inside the "invisible dike" oil was being sold to the nation at the Texas price of $3.45 per barrel by the end of the decade. The great irony is that a Venezuelan lawyer (and oil minister) named Juan Pablo Perez Alfonso studied and used the Texas Railroad Commission as his model for OPEC, which he co-founded with the Saudi Arabian director of the Office of Petroleum Affairs, Abdullah Tariki, in 1960. OPEC from the beginning maintained that oil was a depleting asset, and it had to be replaced by other assets to balance national budgets and fund developments. Now that we know a bit about the producers and the price and cost of oil during the era of "real money," let us take a look at the dollar itself. The dollar and the world was pegged to Gold via the post-WWII Bretton Woods agreement in which $35 was convertible to one ounce--but for foreigners only, not U.S. citizens. The rate for international currency exchange was coordinated through the International Monetary Fund (IMF), with each currency pegged to each other through the dollar and Gold. The U.S. economy steamed along nicely in the 1950's, producing half of the world's oil as I've already stated, and half of the cars that burned up this oil. By the arrival of the 1960's, American industry was buying foreign factories, equipment and raw materials. In addition, the government was spending for its foreign bases and troops, and Vietnam was funded largely in the red. An overhang of dollars was developing overseas--and while at first the foreigners were reassured that the Gold guarantee of the dollar was solid, as ever more dollars piled up, ever more of them cashed in the dollars for Gold. General de Gaulle summed up the sentiment, saying that America had "an exorbitant privilege" in ownership of the key-currency. By that he meant that the dollars America was able to issue via simple printing carried the same value in trade as the dollars that had to be earned by other nations through meaningful productivity. It quickly became clear that too many claims had been issued on the limited Gold, and President Nixon was prompted to close the Gold exchange window in the face of a certain run on the Treasury. In a quick repeat from Part 1: " Upon the 1971 declaration by the United States that redemption of dollars for Gold would be terminated, the entities in receipt of dollars for balance of trade settlements had no difficulty recognizing this as an outright default on payment contracts. The scramble was on to make sense of this new payment system in which the dollar was no longer a THING of value (a small amount of Gold), but was now reduced to a CONCEPT of value; an undefined unit with which the world would denominate the amount of value in contracts for goods and services. The problem ever since has been in coming to terms with the meaning of value for this shifting and undefined unit, and its vulnerability for mismanagement and abuse." With OPEC in place, and the dollar now rendered meaningless by traditional standards, the stage is adequately set to describe what followed. With OPEC now united and able to conserve, and threaten to cut back in the grand tradition of the Texas Railroad Commission, they were able to name their terms of payment, and decide essentially what value the dollar would have in oil terms. That is important enough to repeat: They were able to name their terms of payment, and decide essentially what value the dollar would have in oil terms. The increased world demand for oil ensured that the price would be met (Texas was pumping around the clock and still coming up short), and the printing presses essentially ensured that there would be no lack of dollars, so to speak. It is important here to realize the attitude of OPEC, and notably the Middle East. In the mid 1970's, the finance ministers of both Kuwait and Saudi Arabia stressed that their needs were only to provide for the welfare of their citizens, and that oil in the ground is better than paper money. Who from the West can argue with that? They called our money's bluff, fair and square. So in 1971, while the Texas price of oil was $3.45, OPEC re-priced their Middle Eastern oil up from $1.80 to $2.20 (such audacity, don't you think?) only to see the market price due to demand in 1973 overtake the official posted price, at which point OPEC saw the writing on the wall, and in October raised the price per barrel to $5.12 while curbing production. By December, the Shah of Iran called a press conference to announce the official price would now be $11.65. Well, why not? It's only paper to you if you are not in NEED of this currency through a debt to someone else. And so began the First Oil Crisis of the 1970's. How much IS 100 billion dollars per year? It can't be much, because we all know the Middle East is heavily in debt with struggling economies even now at the end of the 1990's. Right? Well, I invite you to follow along, and judge for yourself. Let's try to spend that $100 billion, and remember...it is 1974. And let's not waste time on small stuff, we'll go right for the big ticket toys. How about some F-14's? Fully equipped (minus missiles because we are a peaceful bunch) they are ours for $9 million each. Grumman on Long Island assembles 80 each year. Hell, let's take 'em all for $720 million. How about some F-15's too? At $12 million each, we conclude our visit to McDonnell Douglas with 100 under our arm for a cool $1.2 billion. Let's take home the biggest brute the U.S. has to offer--a top of the line nuclear-powered aircraft carrier for $1.4 billion. Better yet, make that two carriers. Throw in some destroyers, some submarines...let's see... We've spent a total of $2 billion on a kicking air force and a little more than that on a fine little navy. How much money is left in round figures? About $100 billion. And this amount comes in not only this year, but the next, and the next, and the next... [a side thanks to Mr. Goodman for these historical prices.] $100 billion is a large annual paycheck, and we haven't even touched the $30 and $40 dollar prices brought about in the Second Oil Crisis. Now consider again that America has written future claims on $5.6 trillion dollars. Can you imagine how such a figure might be settled? Ouch. Where did all of this money come from? It would seem that America found an efficient means to issue claims on the country in exchange for something that goes up in smoke. Would OPEC own America lock, stock, and barrel? What would OPEC do with all of that cash? And would there be any end to it? How are the poorer countries that must EARN their dollars, as General de Gaulle indicated, going to fund their own oil needs? Banks are the answer. Buy banks, fill banks, and recycle the petrodollars. Oh, and let's not forget Gold. Straight from two ministers of finance, "We would rather keep the oil than have the paper money." We thank you for that insight. Now that I have properly set the stage, in the next part I shall relate the really good stuff of Aragorn's tale suggesting where this money went, and how the system survived 20 years after the end was nigh, bringing cheap Gold crumbs for anyone mindful enough to pick them up. To quote that good knight, "With a payday reaching that magnitude, the question of destiny begs no answer. You set your own, and hope for nice weather." One Oil Crisis down, one to go. We looked at some pretty incredible figures in Part 3. Where did this money go, and maybe more importantly, where does it come from? For the sake of brevity I will assume the reader is well acquainted with the process of money creation via modern banking. If not, then you have some important questions to ask and research to do. For now, accept on faith that new money is created (as a simple ledger entry at a bank) through the process of borrowing. A loan creates new money, and banks collectively may create money far in excess of what they hold on deposit. As a contract, the loan is quite real, but the dollar is not. A dollar is an undefined concept--an undefined unit of measurement for value, so to speak. You can see how such an arrangement favors those in a position to name their price. As you can well imagine, for a country such as Saudi Arabia that had been subsisting on simple agriculture and the business of Pilgrims, a sudden infusion of such a magnitude of money can be seen as pure profit, and a fine opportunity for capital improvements to national infrastructure. Much of this money flowed back to the rest of the world to pay for international contractors and materials. But clearly, much more money was coming in than could possibly be spent. Vast sums of it found its way into the world's largest international banks--the five largest American, three largest Swiss, three biggest German, two biggest British, and then on to the next tier... Suddenly there were over one hundred banks that set up shop in tiny Bahrain: Citicorp, Chase Manhattan, Barclays, and Bank of Tokyo among them; all competing for surplus oil profit deposits. Paris suddenly found itself host to over 30 new Arab banks. So much money flowed in, and so much was lent in turn to the poor countries that could scarcely afford to buy oil with their meager exports, that the financial system became a large game of musical chairs, and the biggest risk was that the music might stop. There were no chairs to sit on! To protect themselves from the unthinkable--that the Arabs might pull their deposits out of an individual bank--the banks developed a system. This system provided for the relatively smooth inter-lending of funds. Because even though a bank can create new money "out of thin air," they have to have deposits in the bank as a starting point. If these funds were to be withdrawn, the bank must locate other deposits to cover their outstanding loans. If the money were pulled, say from a British bank, it had to go somewhere; the amount of money was too great to "hide" for long. This British bank could call around, and arrange to borrow the funds back from a Swiss bank, or German bank, by paying a nominal interest rate on this inter-bank loan. The important concept to grasp here is this: as long as the petrodollars stayed in the banking system, the banking system would survive. In fact, that is how the world weathered the storm of the First Oil Crisis. Such a grand scheme of inter-reliance was formalized by several central banks in a meeting in Switzerland to handle any event should money come up short in one area or another--the Basel Concordat. Have you ever heard of the LIBOR in any of your financial reading? Some credit card issuers make use of the LIBOR instead of the US. prime rate in their contracts. It is the London Inter-bank Offered Rate, and functions as the international bank borrowing rate, and it is the tie that binds the group together into a nearly seamless global financial System. When the First Oil Crisis caused a global tightening of belts, only America, as the issuer of the key-currency, could shamelessly create new money with ease to pay its bills. Other countries had to balance their own books with productive output, or else turn to the banks to borrow the needed funds. And borrow they did! Let there be no doubt that these petrodollars were recycled through the banking system. Throughout the Oil Crisis and the distractions of the Nixon Watergate scandal, the former Secretary of Defense under the Johnson administration, and then president of the World Bank, Robert McNamara, was focused on one thing only--maintaining the good graces of OPEC. McNamara had to ensure continued access to OPEC's funds. During 1974, the World Bank had drawn on OPEC for $2.2 billion, for a total at the time of $3 billion--one quarter of all World Bank debt. For Euroland banks, business was booming because lending was their business. And the IMF had its hands full trying to hold together the international currency exchange system. Some of the countries that quickly found themselves behind the eight-ball: Brazil, Korea, Yugoslavia, the Philippines, Thailand, Kenya. (You can easily imagine that there aren't enough coffee drinkers in Saudi Arabia to achieve a meaningful balance of trade of coffee beans for oil for a country like Kenya.) So in a move driven more by politics than banking to ease the financial squeeze upon a nation's citizens and industry, the governments would turn to their central banks and to the international and multinational banks to secure the needed money. And the banks couldn't stop lending, because many countries relied on new loans to pay off the old loans in addition to their continued need for oil. Loans in default were simply rescheduled. There were no chairs, and the music could not be allowed to stop. If a bank were to fail, what would the Arabs do with their remaining deposits, now clearly in jeopardy? Further, the inflationary impact of all of this borrowing was also a fact not lost on the OPEC nations. Many of the OPEC members' advisors and ministers held Ph.D.'s from prominent American colleges. They did not have their heads in the sand. The inflation would lead to a new price of oil just to recapture the value that was lost, and the cycle would intensify in the next round. OPEC knew the western currencies were depreciating faster they were compensating with price hikes. They were getting less "real" money as a result. Hopeless. Remember Jelle Zijlstra with the "moon" comment earlier? As head of the BIS in 1980, he confidently predicted that the Second Oil Crisis could be worked through, slowly, but that the System (international financial system) could not survive a Third Oil Crisis--the inflation would make it impossible to recycle the petrodollars to the oil importing countries with any hope of repayment, trade would crumble, and the System would be brought to its knees. On that grim note, we need to take a quick look at how the world reacted to the Second Oil Crisis. It opens the door to everything that follows. By now you are patiently awaiting mention of Gold. There it is. Now back to the story... No, seriously, pay attention here, and things will start to fall into place. I hope you have noticed the few references to oil prices throughout this series. In most cases, the oil was made available at a posted price. In the 1960's, OPEC's posted price was $1.80 (though sometimes the producers would undercut that to gain an advantage through additional volume), then it was $2.20, then $5.12, and within weeks it had been changed again to $11.65 (in late 1973). By May 14 of 1979 the posted OPEC price was $13.34 per barrel, but life was about to change. The key element to keep in mind is that oil was not priced directly by the market. It was mostly sold under long-term contracts at posted prices that were set by the producers after careful analysis of what the market could bear under self-determined production levels. When the Ayatollah Khomeini's revolution deposed the Shah, Iran's 6 million barrel per day production fell off dramatically, and the resulting shortage sent the downstream processes scrambling for sources of oil anywhere to feed their refineries. Many turned to Rotterdam for oil, to fill their empty tanks. The deepwater port at Rotterdam was the principle harbor where huge tankers could be found to deliver oil on the spot, and hence the spot market for oil was often referred to as the Rotterdam market--but in truth, the spot market was available worldwide. This spot market was never meant to determine the price for oil, but was only supposed to supply day-to-day purchases. Due to the stresses of low supply, the Rotterdam price sailed above the $13.34 posted OPEC price on Tuesday, May 15,1979 to $28, and two days later it reached $34. Iran immediately took what little production remained and sold on the Rotterdam market. OPEC then set a ceiling price for oil at $23.50 per barrel, but that was soon broken by Libya and Algeria. Obviously, Rotterdam was the place to sell oil at the best price, so many tankers with long-term contracts for oil stood empty waiting for delivery while ever more of OPEC-member production was diverted through Rotterdam. Countries and many companies looked at the low levels in their storage tanks, and soon they were rushing to support the Rotterdam market with their business. The "spot" price reached $40 per barrel as uncertainty about the future brought forth every empty tank or dilapidated tanker out of retirement to be filled. Gresham's law can help explain this phenomenon-- bad money is spent and good money is saved. Oil was being bought and saved as a store of value, while paper money was spent. The flames of this Rotterdam inferno were eventually cooled as the last available storage tank was filled to capacity. This display of the spot value for oil reinforced OPEC's concept of value, and they had no qualms about raising the posted price to the spot value. Please recall, "We would rather keep the oil than have the paper money." Any student of history will also recall that the explosion in Gold prices also occurred in 1979 to early 1980, showing us Gold priced at $850 per ounce. So what exactly has changed in the world since 1980? There haven't been any similar blowups in the pricing of important assets...so how was this wild tiger tamed? Is the money better than it once was? Or are the OPEC nations now suddenly and truly beggars upon the West's doorstep? What happened? Are the multinational banks (once scrambling to hold together the System) now calling the shots with nary a care in the world? In Part 5, I put an end to this tale, and answer the biggest mysteries about Gold in the easiest of terms. The road will seem so straight and fair to travel, you will kick yourself for struggling through the brambles for so long, and wonder at your neighbors who STILL can't see the path, though it is truly a freeway. Before I conclude this commentary, let me first express my gratitude to USAGOLD for hosting this illuminating site, and for the tolerance I've been extended by so many here for my four long posts that up until this moment probably didn't seem germane to the topic of Gold. On any journey, the first few steps are the most important, and in this case they were also the most difficult--to include enough for context without drifting off-topic. This last part is easy. The task at hand is to provide an explanation of Gold's pre-eminence as a monetary asset. Gold is, in fact, Money, while the dollar and others are merely currencies--an importance difference! I am not claiming to be offering new findings of my own. The inspiration for this tale originated from many sources, comments Aragorn III offered to a small group last month, a knowledge of history, and keen perception. I have been challenged to render this tale into the clearest of terms suitable even for those not acquainted with Gold and worldly economics. If I have succeeded in my challenge, at the conclusion of this final part you will fully grasp how the free market has managed to provide a sophisticated asset (Gold) at a laughably minute fraction of its relative value. You will know that Gold is Money, and will gain new respect for its "price." Although this information isn't new, it might be new to you, and hopefully this explanation of financial operations with Gold, together with the background information of the 1970's Oil Crises, will help you anticipate and conclude for yourself an outlook for events ahead, and will also help you to better understand and evaluate the important messages being presented by ANOTHER and FOA, in addition to the other worthy knights of this Table round. Knowledge is power, and with it your destiny shall be yours to decide. To start, I'm going to paraphrase some specific remarks made by Aragorn III that some people need to hear and think about, though most of the Forum posters are already in tune with this. 'The falling price of Gold has had various effects on people. The common person says, "Of course it is falling, because Gold has been demonetized." The Goldheart knows better, so the falling price has a more remarkable effect, bringing out insecurities and irrationalities of some. Though these people don't question that Gold is money, their insecurities start to question whether the world really needs money at all...that somehow this greatest device of mankind has been antiquated. Simply preposterous. If they knew the truth they would confidently buy today at triple the price and call it a bargain of a lifetime. People ask, "Why waste effort to dig up Gold from the ground, only to rebury it in vaults?" I say, "For the same reason the central banks toil to print millions of fancy notes that nobody reads. If you've read one, you've read them all." The effort is needed to prevent cheating, though we easily see the fancy cash does not stem the abusive tide of money from nothing. People also say, "Gold is a dead asset. It does not earn interest." What is the point of such a comment, to demonstrate their naiveté? Did banks not pay interest when coins were stamped from Gold? With that, I will now conclude this tale that shows Gold functioning in its role as Money. And because preconceived notions of words often cloud a person's ability to see the case before them, I shall try to deliver this message with the slightest use of such terms as Gold loans, leases, shorts, etc. In fact, I will be so bold as to simply refer to Gold as Money (I will write it as "Money (Gold)" to ensure you know my meaning, but as you read, simply pronounce it as money). As far as what you might think is money (dollars, yen, pesos, etc. ), I shall from this point forward not call them money, but refer to them by their given name (dollars, yen, pesos, etc.) or else will call them "fiat currency," or just "currency" for short. Fiat means "by decree, and fiat currency is currency because the government tells us it is. Enough of the preamble. Let's pick up where we left off from Part 4. In days past, the oil exporters had been poor to modest countries scraping by when two things occurred. They discovered that they owned lots and lots of oil, and they also found that the rest of the world had developed a voracious appetite for oil. Think how different the world situation would be today if this supply of oil had simply never existed. We are certainly lucky to have its availability, and it is a reasonable expectation to pay fairly for all that we take. As bald as that statement is, it is necessary because some people have suggested (as Kissinger did in the 1970's) that warfare is a possible alternative to obtain what isn't ours. Such a world! We've already discussed much of the turmoil that resulted from consumption that outpaced ability to pay. Payment in Money (Gold) was terminated, and many payment scenarios were developed in addition to the ever rising prices in paper currency. While it can be suggested that currency is a reasonable means in which to track balance of trade accounts (equating oil exports with similar value of imports such as infrastructure improvements), it should be readily admitted that paper currency is an unacceptable means in which to pocket one's profits. Book the trade balances with paper currency, but pocket the profits (savings) with Money (Gold). That's what I do every month, too! Back in the 1960's when dollars were still tied to Money (Gold) under the Bretton Woods agreement, the American penchant to spend for goods abroad led Kennedy's Undersecretary for Monetary Affairs, Robert Roosa, to fear a mass "cashing in" of these dollars in international hands for Money (Gold)--a run on the Treasury. Roosa created a new financial device, referred to as a "Roosa bond," which was a special issue of Treasury bonds that were denominated in Swiss francs. As the bonds were sold to the world, they would sop up excess U.S. dollars with the terms that repayment at a future date would be in a given quantity of Swiss francs. (Notice I said quantity, and not value.) While these Roosa bonds stemmed the tide of a possible run on the Treasury, they ended up costing America more because the Swiss currency appreciated versus the dollar during the life of the bond. It is also important to realize that not all international arrangements are conducted on the open market. For example, to avoid the German mark from being bid up in strength with a result of ever more people bringing them dollars for an exchange, Germany's Bundesbank issued bonds directly to the Middle Eastern buyers, avoiding the marketplace impact altogether. This was at the time Saudi Arabia was swimming in cash and spreading the excess among the world's largest banks (as mentioned in Part 4). My point is this (which I shall expand on soon): don't be surprised that banks are far more creative in their operations than revealed in your common experience through savings and checking accounts and home loans. Eliyahu Kanovsky, an oil economist, won renown by many for accurately forecasting long-term oil production and pricing trends by OPEC where all others had gotten it wrong. In the 1970's he maintained that economics, not politics, were the determining forces behind the decisions of OPEC. In 1986 he wrote in response to the prevailing notion that OPEC would eventually own the world as a result of its oil wealth: "It is, by now, abundantly clear that these forecasters committed gross errors not only in terms of magnitude of change, but, far more important, in terms of direction of change. Instead of increased dependence on OPEC and especially Middle East oil, there has been a very sharp diminution. ... Oil prices have been weakening almost steadily since 1981 and there has been a collapse since the end of 1985. Instead of rising 'petrodollar' surpluses, most OPEC countries, and Saudi Arabia in particular, are incurring large current account deficits in their balances of payments, and are rapidly drawing down their financial reserves." In the 1990's, Kanovsky maintains that OPEC has lost its ability to raise income through raising prices, and that oil below $20 is virtually assured. (This should remind you of Milton Friedman's poor prognostication from Part 1.) Kanovsky claims competition among producers ensures an end to price fixing. They can only pump it and sell it for whatever the market will provide. He contends (rightfully so) that Iraq can be counted on to "pump like mad" upon lifting of UN sanctions. He also contends that with the current account deficits of many OPEC members, notably the Saudis, they have no option themselves but to add to the oil glut with overproduction to raise revenue. Since it has been brought to our attention by Kanovsky, let's take a look at the Saudi budget, and the toll taken on it in the aftermath of the Gulf War. IMF data reveals that the Saudi deficit climbed from $4.3 billion in 1990 to $25.7 billion in 1991. Oil had been selling at around $14 per barrel until June 1990 when Saddam Hussein pressured OPEC to raise the price to about $20 to help repair Iraq's national budget (which had been wiped out and sent into the red by their 1980-88 war on Iran). Iraq's subsequent invasion of Kuwait in August 1990 temporarily spiked the price higher. Here I must ask you to pause for a moment to reflect on those huge oil trade surplus figures we toyed with in Part 3, and recall that they were from early 1970's oil demand at a price of $11.65 which caused the First Oil Crisis. What happened to the vast amounts of petrodollar revenue that was being pumped into international banks, and recycled as fast as the loans could be written to borrowers throughout the 1970's? Further, what happened to the earnings that were surely being generated on these deposits through the activities of the lending institutions? As I noted at the end of Part 4, the System miraculously survived the Second Oil Crisis of 1979, and concurrently the skyrocketing price of Gold promptly abated in 1980. Further, Kanovsky points out that oil prices started weakening in 1981, and then plunged in 1985. Force yourself to make the connections. You will be one step ahead of Kanovsky, who has identified the effect, but no doubt has missed the cause entirely. Let us now tie together everything we know, and fill in the remaining pieces. Historically, the price of oil had been simply posted by the producers for contracted delivery until it was unleashed to respond to daily supply/demand forces on the "spot" Rotterdam market, at which time the price exploded in 1979-80. Although the dollar had been historically fixed to Money (Gold), after it was unpegged in 1971, the currency price of Money (Gold) was determined by the daily supply and demand, similar to Rotterdam. Gold auctions began in May of 1978 because the U.S. had trouble getting international entities to accept its dollar currency. After "booking" their trade balances with dollars, the House of Saud, among others, wanted to "pocket" their profits with Money (Gold), and therefore competed with everyone in the world for Gold on the spot market. As the price shot right through $700 it was clear that every ounce purchased made it that much more difficult to purchase the next ounce. There was little trouble raising the price of oil as needed, except the financial structure of the world was coming apart at the seams. Each dollar withdrawn from international banks to buy Money (Gold) made life ever more difficult for the banks to square their books against outstanding loans or to write new loans. There had to be a better way...the return of Money! The high price of Gold brought mining companies out of the woodwork. The Earth was suddenly crawling with geologists looking for the next jackpot Gold deposit. The mining companies needed capital to finance the construction of these numerous new mines. It's not strange to you to accept that banks can lend currency. It should not be difficult for you to accept that banks can lend Money (Gold) also. Struggling with that thought? Don't. They lent Money (Gold) in the days prior to Roosevelt's 1933 confiscation of Money (Gold) in exchange for currency, and they can lend Money (Gold) today. In fact, they can even create Money (Gold) out of thin air, in a manner of speaking, and I'll walk you through it. Sometimes a parallel familiarity assists comprehension. Consider the existence of Government-Sponsored Enterprises (G-SE's) such as the Federal National Mortgage Association (commonly known as Fannie Mae). Fannie Mae is in the business of creating financing for people to acquire a house. The government's involvement in this affair is that they underwrite the risk of a default on the repayment of the loan. Dollars are borrowed, dollars are lent, and dollars are repaid. It doesn't matter what happens to the exchange rate of the dollars versus other currencies. A certain amount of dollars are owed, plain and simple, under the terms of the loan contract. If a home mortgage loan is sold on the secondary market, the purchaser of the loan is effectively buying not the house that was financed by this loan, but rather the rights to receive the borrower's scheduled repayments over a span of time. Think of a loan to a mining company in a similar fashion. Interest rates on Money (Gold) loans are often much less than on currency loans because the Money (Gold) holds its inherent value over time (despite its "price",) whereas the paper currency fails so fast you must return more for the lender to at least break even, not to mention show a profit for the risk. Because miners will be pulling Money (Gold) out of the ground, it makes the most sense to them to seek a loan of Money (Gold) rather than currency in order to finance their new mine construction. But because Caterpillar has its head in the sand, it requests dollar currency for the purchase of its mining equipment, so an exchange must be made for paper currency as an integral part of this Money (Gold) loan. These arrangements can take place in every conceivable fashion, but this following example will be representative. As 1980 arrived, the Saudis naturally still wanted Money (Gold) for their oil, and the rest of the world was struggling with liquidity. Much currency "wealth" had already been transferred to OPEC, leaving many countries toiling to service their own debts--much of their credit existing as recycled petrodollars. Let the lending continue! Bullion banks would facilitate these deals, and central banks (CB's) would act in the same capacity as with the G-SE Fannie Mae, guaranteeing ultimate repayment in the event of a borrower's default. In this simple example, the House of Saud could be looked at as the principle lender (although the borrower doesn't see this)...providing the currency equivalent of the Money (Gold) borrowed by the mining company to pay for Caterpillar's equipment to build the mine. Because this is contracted as a Money (Gold) loan, Money (Gold) must be repaid over time. In a sense, from the Saudis' viewpoint it is similar to the Roosa bonds where U.S. dollars are paid for the bond, with a fixed amount of another currency (in this case, Money (Gold)) expected to be returned upon maturity. With the simple but vital central bank guarantee against the default of these Money (Gold) loans, the House of Saud, for example, would have no qualms about supplying the cash side, effectively buying not the Gold metal immediately, but rather the rights to receive the borrower's Gold repayments over a span of time. Just like buying a home loan on the secondary market. And the Money (Gold) of the central bank need not ever move or change ownership unless the borrower defaults on the loan, and the CB is obligated to deliver on its guarantee for the full repayment in Money(Gold). There is nothing sinister in all of this. The price of Gold has fallen simply because anti-gold sentiment has been fostered throughout the common investment markets while the principle buyer at the Golden "Rotterdam market" had found another avenue in which to obtain the Money (Gold) desired in exchange for oil profits. This is very much like the off-market Bundesbank offerings that I mentioned about earlier. Please appreciate the patience in this approach, and the commitment it shows to Money (Gold), knowing full well that for many years it might be getting ever cheaper, while they would appear the fool for buying it from the top prices all the way down to the lowest. But the big payoff is in the end--which is near--and I'll get to that. The miner approaches a bullion bank for a Money (Gold) loan. Let's assume the current dollar price of Money (Gold) is $400 per ounce, and the miner needs $20 million to pay Caterpillar for equipment. The bullion bank (such as can be found operating in the network of the London Bullion Market Association--LBMA) writes the Money (Gold) loan contract specifying the term of repayment of 50,000 ounces of Money (Gold) plus interest at 1% - 2%. The borrowing miner collateralizes this Money (Gold) loan with company stock, the deed to the mine, etc., and is sent down the road with $20 million in currency for Cat. Where did this cash come from? The bullion bank turned to the House of Saud, which is currently out of currency. However, using their oil in the ground as collateral, the bullion bank is able to write them a currency loan out of thin air (just like banks can do) with which the Saudis purchase the repayment rights on the Money (Gold) loan. They will be receiving future Gold for their future oil! As they sell oil, they will use their dollar revenue to repay their currency loans, and in the meanwhile, the miner's Gold loan repayments will be directed to the Saudis' account. What does the bullion bank get for all this trouble? First, the central bank gets 1% - 2% for underwriting or guaranteeing the loan. (Just like the underwriting done with Fannie Mae.) The bullion bank had added on top of this low interest rate an applicable margin for its cost of funds to establish the final interest rate for the miner that borrowed the Money (Gold). This rate might run 3% - 5% (while currency loans would demand much more.) Each year the miner produces Gold, and after paying the required installment of Money (Gold) for the Loan, the remainder of his annual production can be sold on the spot market for currency used to meet business expenses. As described so far, it should come as no surprise that the House of Saud would also step right up to purchase the delivery side of this hedged production. Enough must be hedged to ensure the mine will remain viable (even at lower prices) at least long enough to repay the Loan. Lets assume this mine is operating today with Money (Gold) at $260 per ounce, while their cost of production is actually $320. The current price of Money (Gold) is not a factor on the Loan repayment...they owe 50,000 (plus interest) ounces, regardless. Any additional production would be sold under the terms of their hedge, at $400 per ounce, and they can pay their bills comfortably and stay in business. Is the House of Saud a fool for paying $400 long ago for the Loaned ounces, and for paying $400 today to honor such hedged ounce agreements? You or I could pay $260 today for that same ounce on the spot market. Have you started to develop a new opinion of your currency, or at least a new opinion of Money(Gold)? The various financial Hedge Funds saw how easy it was for miners to raise low interest capital, and further appreciated the fact that even if they were not themselves a producer of Gold, the Gold itself needed for repayment could be purchased on the spot market at ever lower prices. The Hedge Funds could meanwhile invest the capital received through taking out this Loan and expect to have a double profit potential in the end. (The infamous Gold Carry Trade would invest the currency received through the 1-2% Gold Loan into U.S. bonds that yield over 5%.) And of course, with the proper central bank guarantees, the House of Saud would be there to buy up the repayment contracts expected on these Money (Gold) loans also. The problem is that these speculating Hedge Funds have cumulatively driven the price so low (well beyond where mines would have long ago stopped seeking this type of Loan) that some unhedged mines are shutting down or going bankrupt. This aggravates the spot market with thin supplies of real metal reaching it (due to so much production already having delivery obligations) such that it becomes hypersensitive to any real effort to make substantial purchases there. As a result, the Hedge Funds will be in for a rude awakening in their efforts to purchase the Gold needed to repay their Loans. And the bullion banks are sweating, because they stand next in line having facilitated the Money(Gold) loans and pledged to the CB's that they were credit worthy of the CB Gold guarantees. And the important Oil Producer sees that the big bucks paid long ago for future Gold delivery has actually purchased only uncertain arrival. And further, some miners, despite their hedges, have played fast and loose liquidating them for cash, and through general mismanagement have not been able to stay so viable as to ensure future operation and delivery of the repayment terms. The CB's are fretting because their guarantees were used over and over again, and they are on the hook for a lot of Money (Gold) when the speculating Hedge Funds and bullion banks find it impossible to cover their Loan repayment obligations on the spot market as the price races away from them due to the hypersensitivity that low supply has caused. Shades of Rotterdam. Currently aggravating this spot market problem is the massive demand by individuals brought about by the low prices and concerns for Y2K. I hope this give you new perspective on the push lately by some CB's to free up some Money (Gold) from the vaults, whether it is Bank of England, IMF, or maybe even Swiss. It should also give you perspective on the anti-gold propaganda delivered regularly by the media. Consider that a skyrocketing price of Gold would not only be viewed by the masses as a viable investment avenue, it would also tend to shake the confidence in paper currencies, and threaten the banking system and Wall Street in general. It is this same currency, borrowed against oil collateral for the purchase of Gold, that has added the massive liquidity to the world over the past decade and a half that many people have used in turn to fan the flames of the stock markets here and overseas. That's a lot of cash born unto Gold, and were it not for the prospects of receiving the real wealth of Gold metal, this supply of currency would have been stillborn, and oil would likely only come forth by way of brute force rather than by civil, economic means. I realize that I have left a lot out, but this should get you started along the clear road traveled by smart currency. Now, knowing what you know, what would you do with your dimes? Because this is really his tale, not mine, I'll leave you once again with perhaps my favorite statement made by Aragorn one evening last month among his old friends. "If I were given a dime for every time I cursed the market for providing easier gold, I'd have a dime...and that one was found on my way over here." Everyone, your comments are welcome. And thanks again to MK for the USAGOLD forum and for the opportunity to obtain a world-class Money education and shiny yellow metal diplomas all at the same place! The above was written in June of 1999, in case you didn't notice. It is a repost on this blog from last July. The original can be found here. The Speaker: Jeff Rubin, the former Chief Economist of CIBC World Markets and the author of Why Your World Is About To Get A Whole Lot Smaller built his reputation as one of Canada's top economists based on a number of successful predictions including the housing bust of the early 90s and the rise of oil prices. In his recent book, Mr. Rubin predicts $225 per barrel oil by 2012 and with it the end of globalization, a movement towards local sourcing and a need for massive scaling up of energy efficiency. Zijlstra once met with Volcker, as described here. Even though the US sometimes wants low dollar exchange rate for trade related reasons and to force other countries to accumulate more dollars to purchase oil, for the long term the US clearly needs a strong dollar to meet its needs for oil and for other commodities. The less the dollar needs to be weakened to harm other economies and to maintain dollar hegemony, the better for the US economy. When the US weakens the dollar, it needs to maintain a high total value of dollar liquidity that is held in a larger number of weaker dollars, and the US clearly needs to maintain a strong monetary base even with a weak dollar. US dollar strength for the longer term depends on being able to sell valuable good and services, gold, and valuable investments. In recent years the “valuable” goods and services exported have been in the form of such services as financial advice on what is the best portfolio of mortgage backed securities, the gold has been paper gold, and the “valuable” investments have been toxic debt. At the same time, the US imports valuable goods and the resources and labor of other countries. Valuable exports effectively include printed dollars needed to purchase oil. Such a situation is only sustainable to the extent that dollars are needed to purchase oil. When the US actually had a large supply of gold, selling that gold would strengthen the dollar by making it available for dollars to purchase just as selling valuable goods and services and valuable investments makes the dollar stronger. The more value there us that that can be consumed with dollars, the more valuable the dollar becomes. This occurs whether that value is in US goods and services exports, dollar denominated investments, or gold. 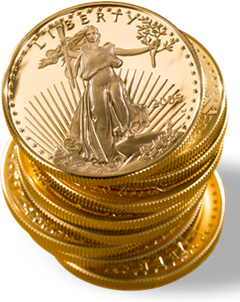 When less gold is sold by the US and less gold is available to those who hold dollars, the dollar price of gold rises and the value of the dollar tends to fall. However, there is a limit to the value that can be added to the dollar by selling gold when it is seen that the supply of gold is about to run out. Since oil is traded in dollars, oil becomes available only to those who hold dollars. Because of this, dollars remain valuable even if the US doesn’t sell valuable exports to add to value that is available for dollars to consume. As dollars pass through OPEC countries and back to the US through petrodollar recycling, more dollars are constantly needed by other countries to purchase oil. Whereas the US can print dollars to purchase oil, other countries have to sell goods to the US to get dollars to purchase oil. As goods produced by other countries become available for US consumers at low prices along with goods that are produced in the US, inflationary pressures are reduced and the dollar tends to rise because of the additional goods available for dollars in the US to consume. The US reports a higher GDP as the real value of spending increases and the real value of corporate profits rises. Real value is added to equity, debt, and the US monetary base. The productive efforts of other countries are reflected as retailing related GDP. Manufacturing inputs produced in other countries tend to add to manufacturing related GDP. US banks gain additional benefit by lending petrodollars at high interest rates often to third world countries. For the Euro, things are different. Because EU gold is regularly market to market, as the price of gold rises there is upward pressure on the Euro because with the gold becoming more valuable there is a potential to sell more gold. However, because of gold being traded in dollars EU gold sales at times may have a net strengthening effect on the dollar by making more gold available to those who hold dollars as gold is traded in dollars. Since there is also upward pressure on the Euro as gold is made available to those who hold Euros but gold is usually traded in dollars, this adds to the uncertainty of the long term impact on exchange rates that is caused by European Union gold sales. A substantial amount of strength in the dollar is gained from settlement of gold delivery contracts in dollars. This adds to the tendency toward dollar strength that results from downward pressure on the price of gold, but could also be expected to add to the tendency toward downward pressure on the dollar during a dollar collapse. When dollars that are received from settlement of gold futures contracts in dollars are returned to foreign investors and deposited in overseas banks, the tendency toward dollar strength that results from purchases of dollars to buy paper gold rather than physical gold is at least somewhat offset by downward pressure on the dollar as dollars flow back overseas. However, upward pressure on the dollar occurs to the extent that naked short selling occurs and IOU’s for dollars are credited to foreign owned gold fund accounts in settlement of contracts to deliver gold. The dollar strength that results would tend to be strongly related to the extent to which overseas dollars held in gold funds are used to invest in the US. In this case, the dollars effectively become free loans backed only by IOU’s. Upward pressure on the dollar increases as an increasing amount of foreign currency held in gold accounts is sold to buy dollars. Massive amounts of foreign currency can be sold with IOU's as collateral while foreign investors believe that that are holding gold and are often charged storage fees. Considering the recent testimony that there is at least a hundred times as much paper gold as there is physical gold, selling of increasing amounts foreign currency held by gold funds could have a significant impact on the value of the dollar. The 85% increase in the gold ETF market since 2008 is a clear indication of this. During a collapse of the paper gold market, previous borrowing of foreign currency from accounts to use for financing would create the need to purchase foreign currency to cover short positions which would increase downward pressure on the dollar. A substantial amount of dollar strength is likely also added through naked short selling in the commodity futures markets. In addition, with the resulting low commodity prices and low and stable food prices, US consumers have the confidence to make large purchases and the demand for discretionary purchases of goods with high profit margins becomes more inelastic. Farm subsidies help make food prices even lower and more stable. Increased demand for discretionary purchases and rising home prices and increased home equity lending allow for willingness to produce goods for US consumers in exchange for dollars to purchase oil to be matched by increased US demand. This allows for the US to take advantage of low prices of resources and labor overseas. To some extent, US consumption becomes effectively free of charge, especially with a strong dollar. It appears that all that is now preventing a dollar collapse is the increased need to for dollars to purchase oil as the oil price rises. However, the need for a weaker dollar to cause oil prices to rise to increase demand for dollars will also harm the US economy as oil and commodity prices rise, and weakening of the dollar increases the chance of a collapse of the gold, commodity and treasury markets. It appears that right now the US is caught between a rock and a hard place. "'You’re rocking the boat', to which the latter replied: 'When this rocks the boat, then the boat is not very solid.'" I say the boat should have capsized, drowned and/or blown to smithereens a long time ago. Knowing what I know now, I am simply AMAZED that the system survived for as long as it has. Guys like Volcker think they did everyone a huge favor by "saving" the "system" during the 80's whereas I don't think a bigger disservice to humanity has ever occurred. I see the 80's as the start of a silent war - of the government (the rulers) against the people implemented by perpetuating the biggest fraud/Ponzi scheme in human history on a worldwide scale. "Soros Says Pound Devaluation Is Option for Next U.K. Government." This article provided much sought after clarity on many questions. Thank you for bringing it forward again. And it is 10+ years old - just mindblowing. What is the name of the speaker in the video? What's happening in places like Iraq today is a direct consequence of the dollar hegemony. After reading that, I'm afraid we no longer have the right to call ourselves "civilized". The rest of the world - which accepts and uses dollars for trade everyday - is as much to blame as the US. NO goal - political or otherwise - deserves mute acceptance of such inhumanity. I find it only appropriate that the rotten, rickety and tottering structure that we call the "world economy" today is about to go up in flames. A timely history lesson. Thank you once again. You are not the only one to see the possibility of oil trading and being priced in Euro rather than US$. "Of course bypassing the increasingly despised and emaciated American dollar will also be inextricably tied in with these moves to flee the American exchanges. A more stable currency would be desired to trade in oil, and that just could be the rising “new boy on the block” – the Euro." The article talks about moves by the Saudis to shift the trade and pricing of their oil away from the Western exchanges and their oil price indexes. Mr. Rubin predicts oil will be at $225 simply due to real supply and demand. That is a highly, highly deflationary scenario. Imagine the money printing necessary to paper over that shock, and the financial and real estate shocks that will follow, along with collapsing GDP. Never mind some info is not 100% correct, with each step on path it gets more clear and bright. Never mind that paper does not hold so much info as online cross sources, its far enough. I was wandering what would happen if Another/FOA writings were more available to greater public. In that time it did seem not wise, it reached those who dared to know, knowledge was almost lost but is rediscovered in right time. BTW: How interesting: A "Tribute" (tributum) = Tribute was not always money, but also valuables..
You would do well to add an illustration or 3 to make this clearer. Jeez FOFOA, the reason I dip into your blog occasionally is not for lack of your quality writing - it's as a result of your enjoying spinning a yarn. I wish you would invest in learning the art of brevity. ANOTHER ( THOUGHTS! ) Gold is cornered. Plain and simple. No complicated theories, no options problems. ANOTHER (THOUGHTS! )You see, gold was cornered this year. It is done. Jeff: If gold was cornered in 1997, what has happened since? If the oil for gold trade was over what are oil producers receiving as payment now? ANOTHER said the LBMA would close, but instead paper gold trading exploded and LBMA is now levered perhaps 100:1. Somehow the game has been kept going far longer than ANOTHER could anticipate. What is the new trade, if the old trade was finished? I think the consensus behind a mideast currency union is tied to the above wriitng. If you look at the evolution, the UAE pulled out over objections that the central bank was/is to be located in Saudi. As memory serves when speculation swirled in 2007ish over the coming union, sr. govt officials were deployed to the region for high level meetings. The union was iced over the geography of the central bank. Coincidence? As for the new trade, it seems inevitable that the monetary authorities are going to have to sell some gold here to sure up their front. By that I mean some sort of fractional backing as a mechanism of tactical retreat only. For the past few weeks the European steelmakers have been screaming abut the 100% increase in iron ore and 50% increase in coking coal. The price of copper and other materials continue to levitate all on the back of dollar debasement. Food inflation in india is close to 20% - and they buy IMF gold! IMF "sales", geithner running around the wolrd (India, then China) and the Russians having a "good" week suggest that the the US is in full scale retreat. While Bernanke claims not a bibble in sight the central bank of Indonesia - yes Indonesia - is warning of massive asset bubbles. Seems that the strategy of the US is not so much to ignore the will of the rest of the world as to have the rest of the world impose their will, almost in an I dare you to solve our problem for us kind of way. Extending the game at this point is simply a relative value bet against real Money appreciation and dollar devalaution. So if the there were to be some form of global repudiation or a preemptice appeasment move in the form of a less than meaningful fractional backing, how would the PM markets react? Would they level off as the supply demand is ventilated by reinjecting confidence into fiat? Do you move to a digital currency with a massive revalaution of gold thereby ensuring the PM hedge becomes out of reach and the banking complex nirvana of negative rates becomes achievable overnight. As an aside, negative rates would seem to have to move hand in hand with either a massive revaluation of Moneyo or an outright ban on ownership. For example, last Friday the volume in CBOT Soybeans was 196,650 standard contracts. A contract is for 5,000 Bushels. Mini-Sized Soybean Futures are identical in every way to the standard Soybean Futures traded on the Chicago Board of Trade (CBOT) except that the contract size is significantly smaller (1000 bushels vs. 5000 bushels) compared to standard Soybean Futures. The physical Soy crop is 8 Billion bushels- A YEAR! That's much, much more fictive/paper bushels traded than physical available! So does soybeans maybe also trade against 100:1 (or more) in total (I don't know), like paper gold? Maybe Eric Decarbonnel would be right with his scary prediction. China and most countries have problems with drought, they will (must) raise foodimports and ask physical delivery to feed their hungry people. you might find Lila's comments interesting regarding the CFTC and GATA thing - click on 'read more' and her stuff is at the bottom. a poetic storm? nice phrasing! In Edgar Allen Poe's 'A Descent Into the Maelstrom' the observant sailor decides to abandon a ship being swallowed by a vortex after he sees wooden barrels doing a counter-rotation thing headed back upwards. He lashes himself to a water-cask and survives a 6-hour terror. I wonder if FreeGold has such levitational properties? "During the last oil crisis in '70, the Americans had still a self-sufficiency level of 75%, 25% of oil was imported. Now above 70% of oil in America is imported." Obama did not decide to start pumping off shore domestic supply for nothing; he (or those who persuaded him) knows what's coming. On internet (Zeit, Spiegel (forum),...), I read very much of German people are really not satisfied with the support of Greece (rettungsplan für Griechenland). The consequence is not pleasant of a rising crude oil price. The entire commercial sector of the USEconomy has a cost structure tied to energy costs. The natural gas price is indeed subdued. But crude oil is widely used in the futures markets to hedge against the USDollar. The demand for such hedges has increased. The light sweet Saudi crude oil is no longer available to meet WTIC crude oil contract demands. The rise in the crude oil price for Europeans using the Euro currency is even more pronounced, brought to view in previous articles. The collection of major currencies is under siege, deeply damaged, and subjected to constant debasement. The ongoing credit crisis and strong recession requires a governmental response on all continents. In Europe, the Untied States, Great Britain, and Japan, the printing of new baseless money continues at an astonishing pace. All major currencies are together in a death spiral. One key item of proof is the West Texas Intermediate Crude oil price shown above. When it hits $100 per barrel, listen to the quacky silly lunatic explanations given by the mainstream press and financial arenas. You will not hear any argument that all major currencies are mortally damaged. You will not hear any arguments that the central bank franchise system of monetary management has failed in spectacular fashion. You might even hear that the jobless recovery is strong enough to withstand the greater pressures of higher energy costs. They're also printing like fools. Without issuing more government bonds, Japan "would go bankrupt by 2011", he added. Is the World's Second Biggest Economy (Japan) On the Ropes? The CB's are fretting because their guarantees were used over and over again, and they are on the hook for a lot of Money (Gold) when the speculating Hedge Funds and bullion banks find it impossible to cover their Loan repayment obligations on the spot market as the price races away from them due to the hypersensitivity that low supply has caused. Gujarat is buying gold, so bull run is here! "The State Bank of Vietnam on December 31 announced a decision to close the 20 gold exchanges in the country by the end of March. It said the closure was necessary to eliminate risks posed to the national financial system." ...I would say that this is in another words a move to physical trading. Thanks for the link to the Gujarat piece. Gold demand there up 1,300 per cent! Anyone who is holding silver should also read this IMHO. "However, higher import duty on silver has led to a sharp fall in the import of the commodity during April-March period. Silver import to Gujarat has gone down by 70.2 per cent." Q. Why did the Indian Govt increase import duty on silver? Harvey Organ reports massive increase in silver metal demands on the Comex. A whistleblower comes forward to GATA with claims of market manipulation in the PMs with particular reference to silver. Q. Silver market ramp or short squeeze or something else entirely? 1)The Chinese government knows that if they do not allow the public to protect their new wealth with gold and silver, a decline in the yuan due to hyperinflation caused by massive government stimulus and an ongoing bailout and subsidization of mass failure in their banking and corporate sectors due to declining exports and trillions of dollars worth of spurious loans undergoing increasing rates of default, loans which often were given to Chinese communist party members, could very well lead to revolution. 2)Without the Chinese OTC derivative backing, all COMEX gold and silver positions would be totally naked. That is because COMEX inventory reports for both gold and silver are a total fairytale fraud. Despite many hundreds of requests for physical delivery which were satisfied over the course of many months, the gold and silver inventories reported by COMEX have remained unchanged. The COMEX even had to enlist the help of the ECB and the Canadian mint to satisfy those requests for delivery, thereby demonstrating that what the COMEX reports as inventory is nothing but a phantasm. We recommend that any and all COMEX gold and silver positions be abandoned as being outright naked and fraudulent. More on oil from the US. Looks like they understand how prices will rise. There were some pictures of Medvedev of Russia with a gold coin. Russia has taken over Saudi's no 1 position in oil production. What are they trading their oil for at the moment? I doubt that they're that stupid. As sales of paper gold to OPEC countries cause them to believe that they have settled their dollar denominated claims, the real value that can be claimed by each of those who hold the remaining dollar denominated claims increases as long as the total real value that can be claimed with dollar denominated claims at least remains relatively constant. As I mentioned in my previous comments on this article, to have there be a high total value held in dollar denominated claims depends on having valuable goods and services, valuable investments, gold, oil and other commodities available to those who hold dollar denominated claims. However, as dollars are printed, a given amount of dollars will claim a smaller amount of value. As the dollars spent by OPEC countries on paper gold are returned to the US as a result of naked short selling without gold ever being purchased, the supply of dollars overseas is reduced without as much need for the US to export goods and services to return dollars to the US. Sales of Treasuries and mortgage backed securities and other investments and derivatives along with massive amounts of related naked short selling return additional dollars to the US without the need to export goods and services. As US banks lend dollars to other countries to purchase oil at high interest rates and when defaults occur often as a result of speculative attacks on foreign currencies, even more dollars are returned to the US and claims on US wealth of countries that have used their labor and resources to benefit the US are further reduced. As central banks around the world buy dollars to weaken their currencies, an even larger share of the value of the world’s labor and resources is made available to US consumers as third world populations are impoverished and become unable to benefit from the fruits of their labor. As the benefits of what is effectively a tax in the form of goods and services on oil purchases around the world are concentrated in the hands of the small percent of the world’s population in the US, each person in the US can live a much more affluent lifestyle than each person in much of the rest of world. In recent years an increasing segment of the US population has lost the ability to claim a share of the fruits of labor and resources of the rest of the world which effectively become free goods that flow into the US as a result of the “oil tax” paid around the world. This concentrates these claims in the hands of a smaller percent of the US population who continue to lead an affluent lifestyle. First world countries who are needed as allies also benefit through favorable terms of trade and in some cases gain more in free goods from the third world than they lose through their “oil tax” as they produce free goods for the US. As the value of consumption by affluent people in the US increases, dollars are seen as being more valuable because they are increasingly seen a having the potential to provide an affluent lifestyle. As this occurs, the value of claims on dollar denominated assets other than dollars also tend to increase as they are increasingly seen as having the potential to provide an affluent lifestyle in the future. The ability of the US to get the rest to the world to support its affluent lifestyle will decrease as resources become scarcer. It is rapidly becoming more expensive to ship goods produced around the world to US consumers as oil prices rise. In the long run, the US will be no more able to get away with causing economic harm to the rest of the world to benefit itself than Tonya Harding was able to get away with benefiting herself as her completion was clubbed in the knee. Trader Dan: The bullion banks are not running as some are suggesting as evidenced by the continued rise in open interest during the price ascent but are instead selling into the influx of managed money flows. Only when we see a fall off in open interest during a price rise will it be able to be correctly argued that they are being squeezed out. We will be on the alert for that. As long as the paper market remains alive, bullion banks remain in control. It's 99% paper so that's 99% control. "As sales of paper gold to OPEC countries cause them to believe that they have settled their dollar denominated claims..."
Upon what evidence do you base this statement? To quote from the above article "You can also see why the economists can look at the Saudi balance books and see tremendous currency debts and budget deficits where once there were surpluses that threatened to buy up the world. They have in fact bought up a significant portion of the Gold mined well into the future...through Loans and Hedges bought all the way down from the top." The Saudis would not continue to buy gold delivery contracts unless they beleived that they actually received or would soon receive physical gold from investing in such contracts. I'm not sure if you fully understood this part or not. You said they "believe that they have settled their dollar denominated claims..."
The part of the story that this article only touches on is that the "paper gold" the Saudis bought is the only "paper gold" that will actually be delivered on after the paper gold market goes bust. If the gold doesn't come from the mines then it will come from the CBs. "Bullion banks would facilitate these deals, and central banks (CB's) would act in the same capacity as with the G-SE Fannie Mae, guaranteeing ultimate repayment in the event of a borrower's default." Think of it like CDS. "AIG would facilitate these deals and the taxpayers would guarantee ultimate repayment in the even of a default." In this case, the Saudis hold the privileged position as the "Goldman Sachs" of the paper gold world. And the reason for this is that they paid for their "future gold" with "future oil". If at some point they don't get the gold, then we don't get the oil. Quid pro quo. And of course, with the proper central bank guarantees, the House of Saud would be there to buy up the repayment contracts expected on these Money (Gold) loans also." It is all the other players that joined this game that will get burned in the end. Not the Saudis. FOA: "If Mr. Huge EuroLand bank owes the ECB system gold worth 100 million in current gold deals; with each 1,000 euro rise in gold he finds himself able to settle in less real physical gold. In a true "cashed out" transition of currency reserve hedges, each ounce of contracted gold owed could be reduced many times. Every player in the gold system, that is caught with their pants down, will rush to be a part of any Euro workout. Indeed, for every major player that was long the gold loan system, for the purpose of buying gold, cash outs in Euros will offer the only return. Official players in the oil sector would eventually be receiving American gold (but that is Another story). "...they are being paid partly in goods and partly in paper that cannot be redeemed for anything. It is not as exciting as being mugged, but the financial result is the same: Production Village is being ripped off." Thank you for your explanation. It has helped me to understand the situation better. I was assuming when I wrote my comments that the Saudis have already been given substantial amounts of physical gold that is in their possession in Saudi Arabia. I was also assuming that because of the high priority of paying the Saudis they will receive substantial amounts of physical gold. However, I was also assuming that there will eventually be a point where any additional contracts to deliver gold to the Saudis would be defaulted on. Based on the size of the paper gold market it seems possible that such a point has already been reached. I also believe that there is a good chance that the US will lose a substantial amount of future oil. The main point I was making was that in order for dollar purchasing power to be maintained, dollar denominated claims need to be settled by providing real value to those who hold them. Whether it is the Saudis or others who will never actually receive settlement of their dollar denominated claims, much value has been added to dollar liquidity because of the false belief that very large amounts of dollar denominated claims on wealth have been settled in the form of physical gold. When settlement of dollar denominated claims on wealth is believed to have occured, dollars can flow back to the US for consumers to spend without as much of a debt burden on the dollar. -http://en.wikipedia.org/wiki/Gold_reserve The official Saudi gold reserves are a mere trifle in comparison with the stated reserves of western Europe and the USA. This doesn't strike me as the country that could have bought the world once and has been accumulating gold in massive amounts for the last 30 years. Are you saying the Saudis lie about their reserves? Why might they do that? - Rather than make gold loans why wouldn't the Saudis just own the gold production directly by owning the mines? This would have the same effect without the counterparty risk of dealing with a central bank that could eventually default. In addition by buying forward all the mine's excess production the Saudis have effectively taken the risk of owning the mine in any case, so why not just own majority stakes in these mines? It would also eliminate the possibility that they are really loaning to a hedge fund which would be very likely to require a bailout if the gold price surged leaving the Saudis empty handed. A/FOA argue that paper money is a debt against the world. Having saved for instance US$ 10 million, we might believe we have saved 10 million cans of coke, but should all the savers try to fulfill their perceived claims upon the real world, they would find out that they've saved far less. "today, your wealth, is not what your currency say it is"
Therefore A/FOA advise saving in gold, as it has no debts against it. Now that is absolutely correct, but there is some value in the "you can eat paper nor gold" argument: should all the gold savers try to lay fulfill their golden claims upon the world there would still not be enough cans of coke. So in order to balance things again, somewhere in the transition many people will have to loose a lot. One could argue that this re-balancing by losses in perceived wealth is the greatest goal of the coming period. You ask two very good questions! 1. The gold reserves on Wikipedia are "official" reserves, owned by the public, the citizens of each nation, as reported voluntarily to the WGC (the World anti-Gold Council). There is a difference between a democratic nation where the leadership changes regularly and a Kingdom, where there is a discrete continuity of leadership for well over half a century! The present Saudi King was the 21 year old son of the Saudi King at the time they last demanded gold. I'm sure he was well aware of world (and family wealth) events at that time. One can only guess who specifically claims ownership to all the gold that flowed opposite oil for all these years. Also, it is only the "profits" of oil that require gold. The operating expenses, the salaries paid to the people of Saudi Arabia are satisfied better with currency. In fact, that's what they want. 2. Buying the mines would have been a riskier strategy than the one proposed above. When the paper gold market finally malfunctions, the mines will either be nationalized or heavily taxed, something like a 95% tax, since they are essentially producing money that belongs to the nation (in-ground wealth reserves). Another way to look at it is that when you buy mine shares, you are only buying stock in a corporate entity, not in the underlying assets it has state permission to invade. The state controls the land on which the mines operate. The corporate entities are there by permit only. Rather, why not leverage your future oil production for some future real money? Especially if you realize like the other Giants that this dollar system only had a limited life span once it left gold. It's quite a brilliant design when you consider the importance of their oil to... well, just about everything. Thanks for those tips (both, of them)! Thanks for replying to me so promptly. Are you a Sir or a Madam btw? One other thing I forgot to mention. The Saudis are surely aware that their counter parties now are mainly hedge funds rather than miners and the claims they have on money (gold) will never be paid. The UK/US would go to war before giving up all their gold reserves so the central bank guarantees are pretty worthless. In that case the country won't receive oil any oil. Interestingly, Obama wants to start pumping domestic oil, so something might be about to change. "The Arabs haven't eliminated their risk by buying the miner's forward production as the miner is still the counter party.."
"...the reason for this is that they paid for their "future gold" with "future oil". If at some point they don't get the gold, then we don't get the oil. Quid pro quo." Seems Iran converted its monetary reserves to gold in Nov 2008 when gold was trading for US$735/oz. I see your point that the future gold production is being traded for future oil production, but if I were a Saudi King, I would securitize the oil in the ground and use the funds from that to buy the miners. I could always make forward contracts with those miners anyway to ensure the production flows to me in the event of a nationalization or inequitable miner tax. For you, I recommend Sun Tzu: The Art of War. The opening of offshore oil by Obama is somewhat symbolic/political. Production would be years away, and this is deep water drilling, through miles of rock and water. Cost of production would be very high, higher than current oil price. At best it would be an expensive way to gain a small amount of production. Thanks for the eBook link. I've been wanting my kids to read The Art of War for some time now, but they're of the digital age and they really captivated by this ebook craze. Now they have the book in their favorite format. To FOFOA and others... What other books would you recommend? The creature of Jekyl island is a sure bet, but I'm curious if you have a list you can suggest. I'm looking for things that can captivate an audience in the 12-16 age range. Incidentally, my kids are quite familiar with your works FOFOA. While some pieces are a little deep for them, many are written so well they can summarize them without and usually explain the major points well. I found an awesome way to get my kids educated in this. For every two FOFOA posts they read and summarize, they earn a silver piece (I'm not a rich man). When they get enough they can exchange the silver for gold. I found this was a solid way to help them drive their own learning. There's a bit of a competition to be the first kid to get the kings treasure (gold). They can't spend it, only save it. An interesting fact that may appeal to you... after saving precious metals and learning about them, not one of my kids wants to convert their silver to anything but gold. My eldest converts his paper to silver within days of pay, when the conversion rate looks best to him. None of them have a gold piece yet, but they will. Anyway, tips on reading materials for their level would be greatly appreciated... as would other suggestions you might have. I'm looking for things that can captivate an audience in the 12-16 age range. The Richard Maybury's "Uncle Eric books" series is a sure bet! Here you go. They're all great reads, explaining how law and monetary decisions drive politics and mess up countries. William White, from the BIS, on failures in economic theory, politics and policy. * There is obviously not enough gold and silver to cover the physical demand if holders of paper certificates in unallocated accounts demand delivery, and most likely only a small fraction could be covered with the practical supply available. Cash settlement will be enforced in the majority of cases. * China cannot fulfill this goal by taking even all of its domestic production for the next 10 years. The Chinese people are showing a strong preference to hold gold themselves. * From 1950 to 1980 the US gold supply declined from 20,000 to 8,000 tonnes, basically moving from the US mostly to Europe. Do you still read Richard Maybury? What is his general vision at the moment? Thanks for all the links guys, it appears I have a lot to read and pass on to them. Sorry to rain on everyone's hopes of recovery (haha) but it appears jobless claims unexpectedly rose again. I think it's time to trade out the economic forcaster for a trained monkey. It'd be correct 50% more often. During the 18-year long bull market in equality (the longest in the history) 1982-2000, valuation is distorted (Average PE > 40 in 2000) but liquidity is natural and regulated by supply and demand. Normally, after such a secular bull run, one would expect an extended correction period for valuation to reach its equilibrium, but the Fed determined that credit contraction cannot be tolerated under capitalism. And hence the Fed activate its printing press to inject liquidity and pursuit its policy of falling interested rate. The results? The bubble in housing market and the much needed correction was limited to 2 years (2001-2003). The added liquidity further distort valuation, and buy the Bull four more years until 2007, when the force of nature again demand a correction for the market to reach equilibrium. But the Fed again determined that credit contraction mean restricted power to the FED and decided to continue it credit expansion regime at the expense of the producers and savers worldwide. Only this time the amount of liquidity inject to the system is 100 times greater than the last tech bubble. This great amount of liquidity injection cause the huge distortion in valuation and create an illusion stability, but this time the 100x injection dose can only buy the Bull a little longer than a year (March-2009 to May-2010). Valuation is measured in purchasing power of the life-sustaining goods and services, not on the paper notes issued by the Fed, nor by the amount of liquidity that the FED created from thin air. The extra liquidation injected by the FED can only change the dynamics (buy the Bull more time) of the financial market but cannot change the thermodynamic (equilibrium position) of the market. In other words, the Fed extra liquidity can only alter the time scale, but cannot change the fundamentals. In days like this where the DOW drop 1000 point and then recover to close the day at the loss of 300 point, it is a good time to review the illusion of liquidity and its effects on valuation. Pricing is a mind game, and heavily depend on the context or situations. It is the confidence game where the players assume future demand based on his perception of current liquidity. But what if all the liquidity is just an illusion and other players start to perceive that the medium of exchange is nothing but a irredeemable promise? It is possible that all the liquidity injection is to buy time for something big to happen. Something will worth nothing if someday somehow nobody want it. The dynamics is time dependent but the thermodynamics is not. Equilibrium is a state-function and also imply inevitability! "But in the higher iterations of gold's value in freegold, the value of gold exports from Australia could be worth as much as 2 or 2.5 times total Australia exports? What happens to the $AUD in such an event? Does the $AUD become a kind of gold currency?" Aus would not export any more gold than needed to balance their current accounts. Why would they? To earn useless fiat currencies? Better to keep the gold in the ground.